Numerous striking Bollywood big names who accomplished popularity in the industry. Was a result of their background role in the films and album songs. 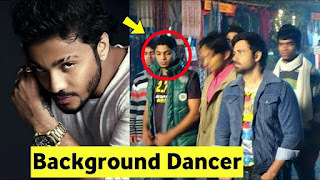 Let’s have a look at those back dancers (Background Dancers) in Bollywood became Superstars. Some of the superstars managed themselves to become a star in Bollywood. While some were not lucky enough to extend their career to a long journey in Bollywood. Back Dancers Background Dancers in Bollywood. The actress who is primarily known from movies in Telugu and Tamil cinema has also done her fresh air Bollywood movies. Kajal Agarwal first featured as a background artist in the 2004 movie kyun ho gaya na. She played the role of Dia and can be clearly seen shaking a leg with Aishwarya Rai in the song “Pyar Mein Sau Uljhane Hai”. Daisy Shah that who made her Bollywood debut in 2014 of Salman Khan’s Jai Ho and has run multiple Kannada films actually started her career as a background dancer. That can be seen clearly dancing with Salman Khan in the song “Lagan Lagi” of Tere Naam and title song of Masti. Diya Mirza who is primarily known for Bollywood movies including Rehna Hai Tere Dil Mein , Parineeta and Kurbaan. She also featured as a background of his before acting career Kickstarter. Diya Mirza can be clearly seen in the Jumbalaka song in the 1999’s movie En swasa kaatre. Such a humble beginning. Shahid Kapoor one of the most talented actor in the industry, undoubtedly. He is a great example of “Bollywood Background Dancers became Superstars”. The Jab we met and Haider actor also had humble beginnings. The actor who is part of the Shiamak Davar performing company first featured as a background dancer in the 1997 Dil Toh Pagal Hai in the song Le Gayi. Two years later Shahid appeared in the song Kahin Aag Lage Lag Jave, Taal. Sushant Singh Rajput, an actor that is gained a lot of critical acclaim and commercial success in recent years. The Kai Po Che star is known for his transition from TV to the big screen. But what a lot of people don’t know is that Sushant was actually a part of the Shiamak Davar performing dance company. And performed as a background dancer in the IIFA awards in 2005 and 2006. 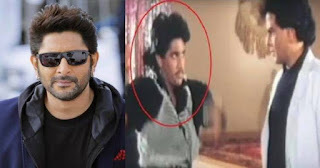 What a lot of people don’t know about Arshad Warsi is that before he featured in movies as supporting character, the Munna Bhai M.B.B.S. and Jolly LLB actor actually styled his career as choreographer and background dancer. In the song help me from the 1989’s movie Aag se khelenge. 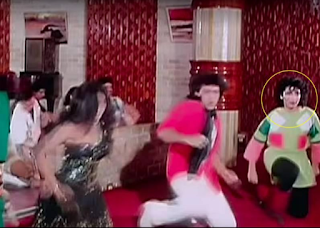 You can clearly see a young Arshad Warsi dancing behind Jeetendra. Remo D’Souza the current well-known choreographer, reality TV Judge, and director of ABCD 1 and 2, also had humble beginnings. 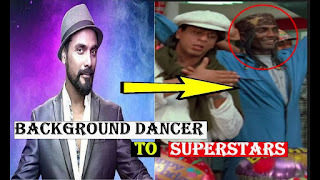 He started his career as a background dancer and clearly recognizable in the song Meri Mehbooba in Pardes dancing behind Shahrukh Khan and the title song of Aflatoon dancing behind Akshay Kumar. Smriti Irani the former HRD minister and current minister of textiles. She is recognized for a variety of things. Her work with BJP and her iconic and celebrated character of ‘Tulsi’ is what majority of media outlets talk about. 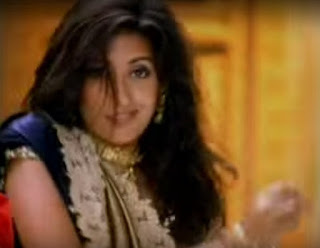 What people don’t know is that the former actress feature in Mika Singh’s music video Boliyan as a background dancer. The footage is quite embarrassing. One of the surprising and jaw-dropping throwbacks is to see Farah Khan as a background dancer in the 1986 movie Sada Suhagan. You can see her in the song Hum Hain naujawan dancing next to Govinda. The celebrity has definitely come a long way from 1986 and become extremely successful. When you think of the most renowned and respected choreographer Saroj Khan comes to everyone’s mind. She individually dedicated many years to the Bollywood industry. 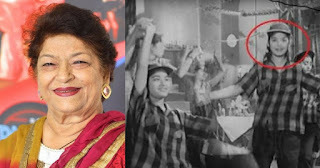 One of the best throwbacks is to see young Saroj Khan feature in the song Aaiye Meherbaan in the 1958 movie Howrah Bridge. It reflects on the long and celebrated journey the choreographer has had. You can see him shaking legs with Emraan Hashmi and Esha Gupta in Tera Deedar Hua song from the movie Jannat 2.